We use Firebase a ton at DripStat. So I am sad to see firebase basically not giving a flying f**k about their Java SDK. The Firebase SDK creates background non-daemon threads, so when you try to shutdown your apache tomcat using the ./shutdown.sh script, it wont. Your tomcat will continue running until you manually use the kill command on the process to kill it. 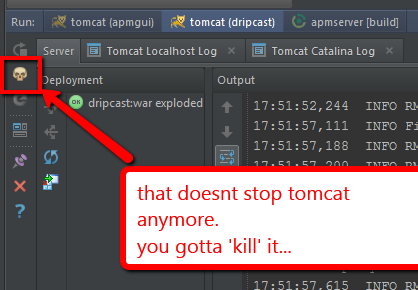 Any tool/script that executes ./shutdown.sh on your tomcat server to kill it, will result in crazy errors cause while the script will execute and think tomcat is terminated that won’t in fact be the case. Tomcat will continue running until its manually terminated as described above. 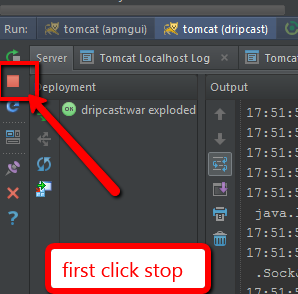 It even screws your development, since no longer does pressing the ‘Stop’ button in Intellij terminate Tomcat. You have to remember to 'kill’ tomcat using a separate button after you press the stop button. Not only that, the website has no changelog or version history of their sdk artifact making it impossible to know when the sdk is updated and with what changes. It is surprising that Firebase has completely ignored such a major issue which impacts both development and production time continuous delivery processes.